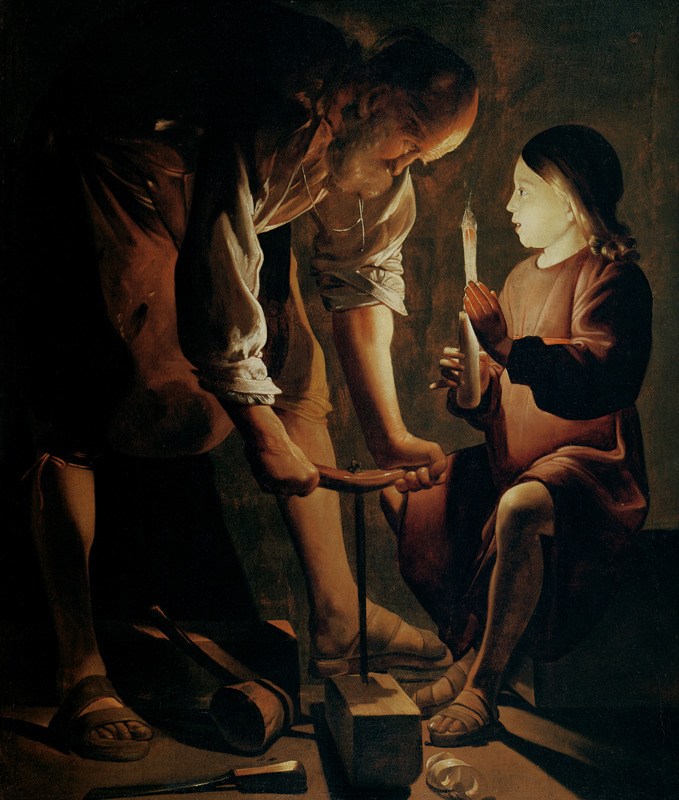 Joseph working a beam before the Child Jesus who seems already to see the wood of the cross; Georges de La Tour, 1642. We are being conformed into one of two images: the image of the Beast, or the image of the Son of God, Jesus Christ. In the above verse from Revelation the world worships the first beast, which is the Antichrist. 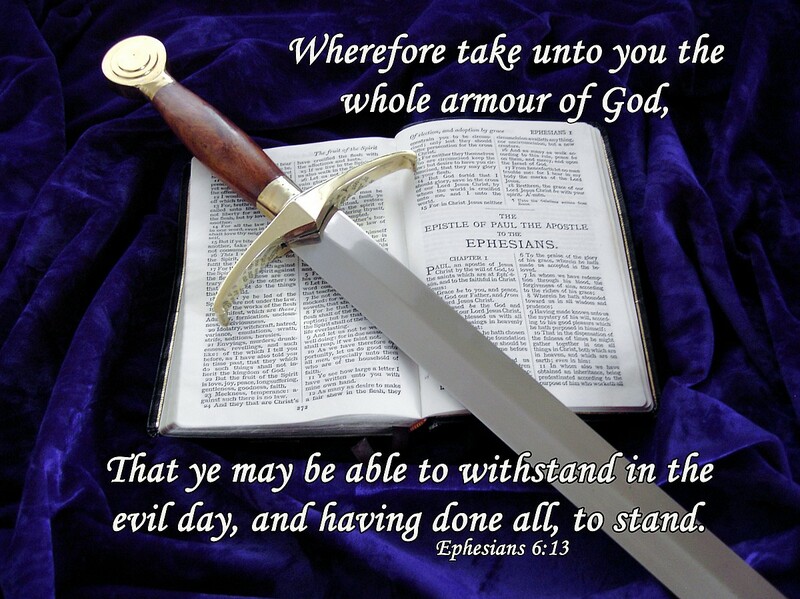 The deadly wound is the fall–the fall of spiritual beings from an exalted state (as originally created by God), to a lower state, into the dark depths of rebellion, depravity, and sin. These spiritual beings once lived in the brightest light–Christ said He is the Light of the World (John 8:12), and likewise, perhaps He is the light of the universe to beings dwelling beyond Earth in the spiritual dimension, the angels, who are the Host of Heaven. 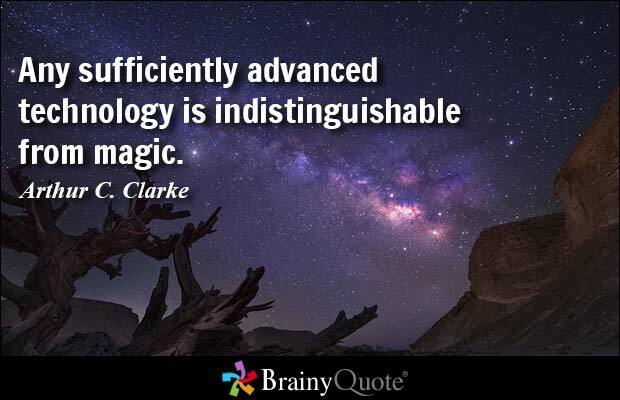 Perhaps that is one of the reasons why the Fallen Ones strive to enter the light of Earth through various manifestations (UFOs, possession, etc. ); are they trying to once again dwell in the Light, because their darkness is dark indeed, even painful? Is it possible they somehow believe, in a twisted way, that the light of the sun will cause them to once again reflect light like they did before their fall? 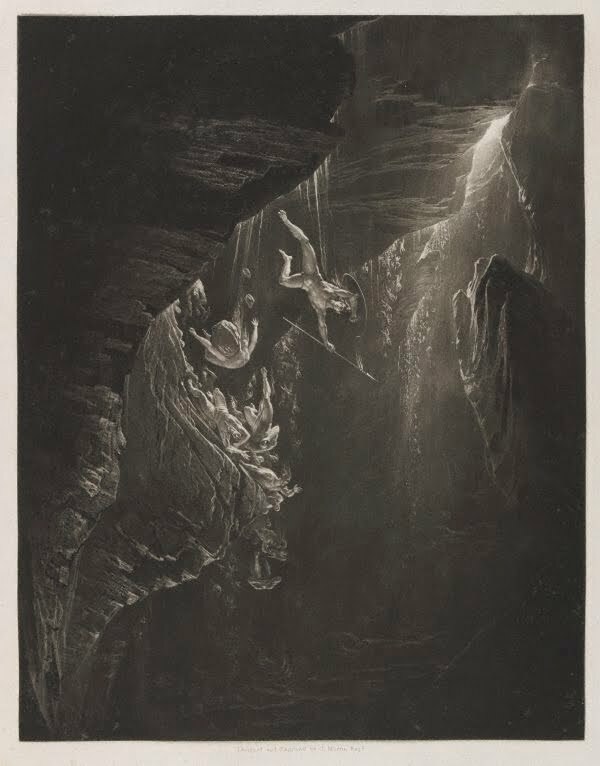 The Fall of the Rebel Angels by John Martin, 1825. If you read the verses preceding John 8:12 you will see that as Jesus was teaching the people in the Temple the Pharisee’s brought to Him a woman taken in adultery. They cast her down to the ground before Jesus and said, “Master, this woman was taken in adultery, in the very act. Now Moses in the law commanded us, that such should be stoned: but what sayest thou?” (vs. 4-5). 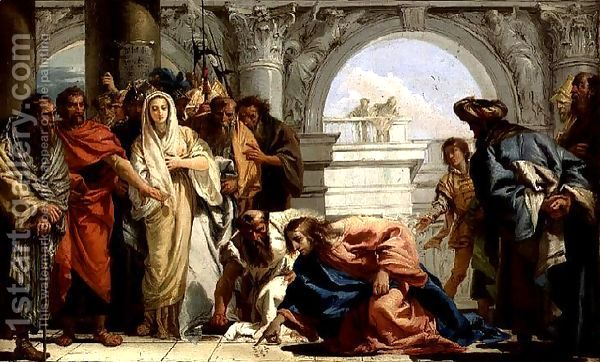 Christ and the woman taken in adultery by Giovanni Domenico Tiepolo, 1752. What did Jesus do? He stooped down to the ground and wrote in the dirt. The Scriptures don’t reveal what He wrote, but perhaps He bent down to the ground where the woman was to reveal Himself to her in mercy and grace. Perhaps that is what He wrote–forgiveness and grace. The woman taken in adultery is a picture of all of us: stained with sin, cast down to the ground without hope; and Jesus in forgiveness, mercy, and grace reaches down to where we are, in the dirt of sin, to lift us up to the light of truth. We resist the antichrist system by believing the gospel message that Jesus died for our sin, was buried, and three days later He conquered the grave. Repent and believe in the risen Christ–escape the spirit of antichrist, flee from sin and death, and be raised to life forever in the light of Christ. If any of you are dwelling in darkness, don’t continue to live with the devils, come to Christ, the true Light of the World!